You Are Here: Home > Finance > Turned Down Elsewhere? Whether you’ve been turned down elsewhere for a motorcycle loan, we’re here to help get you approved on a Harley-Davidson motorcycle loan. Even if you’ve been turned down by other Harley-Davidson dealerships, we have access to more lenders than the average motorcycle or powersports dealer and our experienced team members will work hard to get you approved so you can stop sweating over motorcycle financing and start riding! Start your journey today by completing a no-hassle, no-obligation, FREE preapproval on our website. 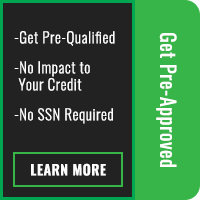 It only takes seconds and there is NO IMPACT TO YOUR CREDIT SCORE and no social security number required to apply for a preapproval. Get preapproved so you can walk into the dealership with confidence you’re ready to pick out your next Harley-Davidson motorcycle.